After a few delays, Lil Durk’s follow-up to 2012’s Life Ain’t No Joke and latest effort is finally here. 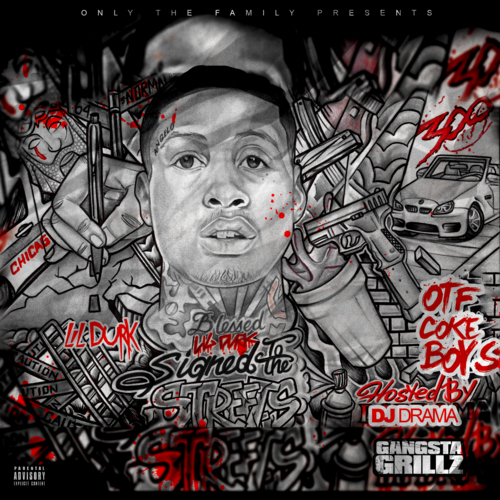 Signed To The Streets is Durk’s first full body of work since aligning with French Montana’s Coke Boys imprint and features over fourteen new records from the Def Jam recording artist. The project also includes contributions from a few faces including Lil Reese, Young Chop, Paris Beuller and many more.